Big flavors, bold, creamy and comforting. Tikka Masala gets its trademark flavors from the yogurt based marinade, then chargrilled and covered in a tomato based curry sauce. 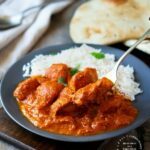 The first time I made Tikka Masala I was completely blown away. I did not grow up eating any kind of ethnic foods. We had dinner every night as a family, but it was meatloaf, burgers, spaghetti, etc. so my experience with bold spices was limited. Can I tell you the FLAVORS in this chicken are nothing short of OUTSTANDING! 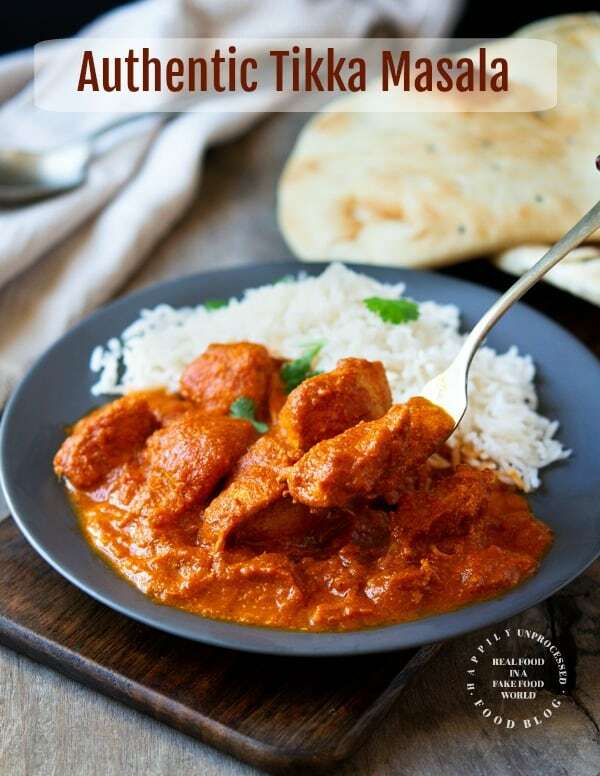 Chicken Tikka Masala is an Indian dish with chunks of chicken that are marinated in a spicy yogurt sauce, then chargrilled and coated in a tomato based curry sauce. The chicken gets marinated in a yogurt marinade with some Indian spices. This step is absolutely crucial and the longer it marinates the better. Overnight is best, especially if you are using chicken breasts. It gets cooked in a very hot skillet to chargrill the outside of the chicken and lock in those flavors. Finally it gets coated in a homemade curry sauce that uses traditional Indian spices such as Garam Masala, Turmeric, Cardomon and Ginger. 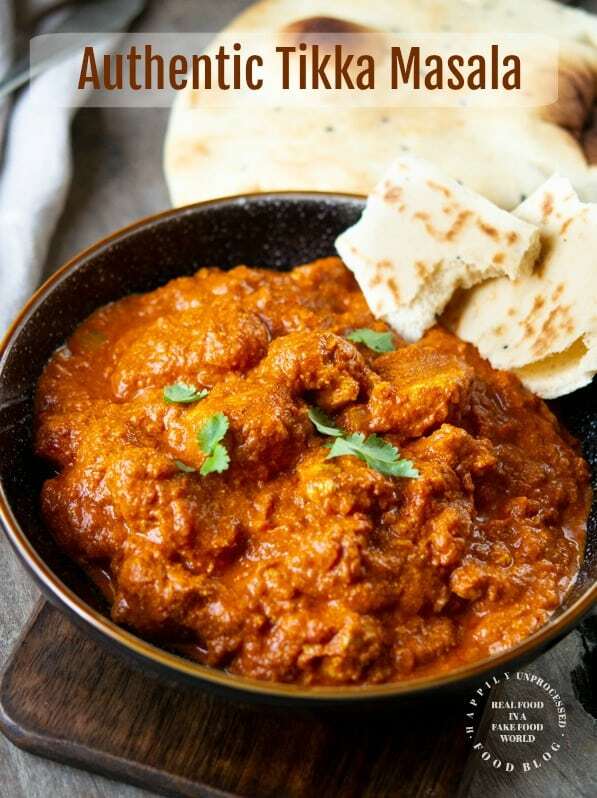 Tikka Masala is often one of the first Indian dishes people try when exploring Indian cuisine. It can be made mild all the way to hot & spicy. This will depend on your tolerance and enjoyment of spice. 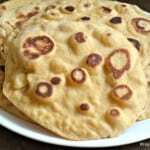 But it is one of the most popular Indian dishes. I have seen recipes several ways to cook the chicken for this dish. Some prefer to simply grill it outside. Some put the chicken on skewers and bake it in the oven with the skewers resting on the edge of a sheet pan so the chicken is elevated and gets a chance to get crispy. I prefer to use my trusty cast iron skillet. The flavors I get from this pan just can’t be matched. The chicken is cooked at a high heat so the chicken gets charred and leaves these gorgeous bits behind in the pan. Then it gets removed to a plate while we make our curry sauce to go on top. This may seem like a long list of ingredients but keep in mind they are used twice, once in the marinade and then again when making the curry sauce. 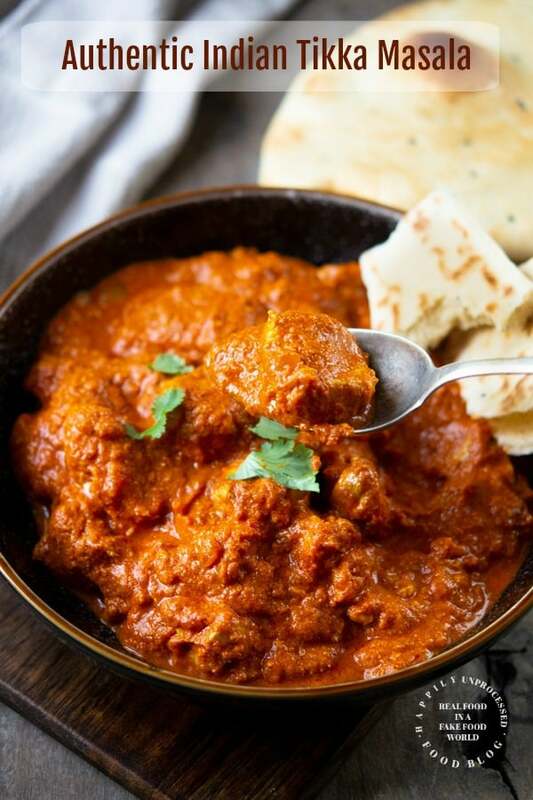 What’s the best side dish for Tikka Masala? 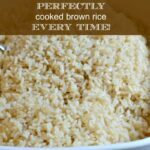 Plain old rice. Light and fluffy alongside some homemade Naan bread. 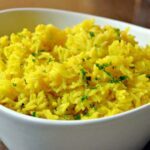 This really is a deeply comforting meal and the bread is perfect for sopping up that delicious curry. There is no need to get fancy with different side dishes. That is all that is needed for this to be a restaurant worthy meal. Yes this recipe does require a little bit of planning and time. But I promise you everyone needs to make this dish at least once in their lifetime! It isn’t something I make weekly, but I have made this dish enough times that I get quicker each time and it’s well worth the effort! Combine the ingredients for the marinade in a bowl – add the chicken and stir to coat. Cover and refrigerate 2 hours. Heat a large cast iron skillet over medium heat until very hot but not smoking. Add 1 Tablespoon of olive oil to coat the pan. You will not need much oil due to the marinade. Add about half the chicken, being careful not to overcrowd the pan and let it cook until it’s charred, about 3-4 minutes. Flip and cook the other side. Remove the chicken to a plate and cook the next batch. Don’t worry if it isn’t cooked through, it will continue cooking in Step 7 . Add 2 Tablespoons oil and 2 Tablespoons butter to the pan. Add the onions, a little salt and pepper and cook approximately 5-7 minutes. Add the ginger and cook another minute. Add the garlic and cook another minute. Add the rest of the spices listed, stirring while cooking until the onions are completely coated. Add the tomato paste – stir. Add the tomatoes and water and stir to combine. Cover and let simmer for 15 minutes. Puree the curry using an immersion blender, food processor or blender. Be very careful as this is very hot. How much you choose to puree is personal. It can be completely pureed or left with a few chunks. Return the sauce to the skillet and add the heavy cream and remaining 3 Tablespoons of butter. Add the chicken to the skillet and continue to cook until the chicken is no longer pink and cooked through.